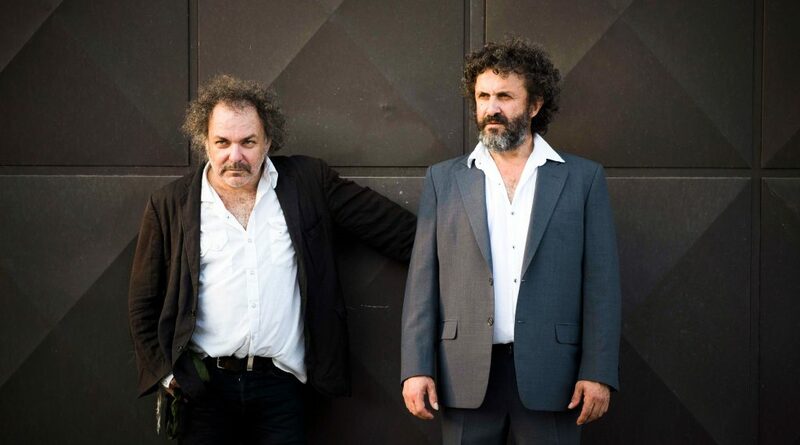 A passion for exploration comes naturally to Xylouris White, the ruggedly visionary duo formed of Cretan lute player George Xylouris and Australian drummer Jim White. For their debut album, 2014’s Goats, Xylouris White compared themselves to the titular animals, wandering fearlessly through rough-hewn terrain. Two years later, they showed how far their horizons could reach on 2016’s majestically expansive Black Peak, named after a mountain top in Crete. Just 15 well-toured months later, the duo’s exploratory instincts drive them further onwards still on their third album, Mother, released 19th January on Bella Union, and named to denote “new life”. As Xylouris puts it, “Mother is the extension of Goats and Black Peak. Three things, all part of a whole. Goats are mothers, Zeus was raised on Amaltheia’s milk, Black Peak is Mother Earth… Mother Earth is the mother of everything.” The duo have shared a first track from the album titled “Only Love”, which is steaming HERE, while the album is available to preorder here. That ongoing gestation is a remarkable extension of already remarkable back-stories. Xylouris is a scion of one of Greece’s most revered musical families. His father is legendary singer and lyra player Psarantonis. Jim White, meanwhile, has commanded international attention for more than two decades as part of Australia’s Dirty Three. Now New York-based, White has often been called on to collaborate with numerous alt-A-listers (including: Bonnie ‘Prince’ Billy, PJ Harvey, Cat Power and Smog), where he redeploys the rolling momentum of free-jazz to variously supple, sensitive and seismic ends. Most recently he performed with Kurt Vile and Courtney Barnett on their acclaimed album “Lotta Sea Lice”. Album opener “In Medias Res” finds the duo already in motion, feeling their way around one another, seeking out ways to bring a song to full bloom. Proving they can also be thrillingly direct when the mood takes them, “Only Love” follows with a brilliantly barrelling sense of momentum, White’s powerhouse percussion urging Xylouris’s liquid-fingered lute-playing and impassioned baritone on to increasing heights of urgency. From here, Xylouris White proceed as if by intuition, feeling their way around new terrain. “Motorcycle Kondilies” is muscular and epic, White’s rimshots providing on-alert accompaniment as Xylouris’s reaching vocal and dancing lute lines build in intensity. If the marching rhythm and pretty lute melody of “Spud’s Garden” highlights the duo’s occasional elegant side, “Daphne” and “Achilles Heel” showcase Xylouris White’s at their most hypnotic and brooding. “Woman from Anogeia” hosts a particularly emotive vocal from Xylouris; “Call and Response” is the duo at their freeform finest, circling each other querulously, again teasing at possibility. Finally, resolution is embraced openly on the tactile and reverberant “Lullaby”, as lovely a track as any Xylouris White have birthed. As on Black Peak, Mother’s labours benefited from the midwifery of choice collaborators. Fugazi’s Guy Picciotto produced once again. Also on hand this time was Anna Roberts-Gevalt of old-time folk duo Anna & Elizabeth, whose earthy violin/viola lines and exquisitely sighing vocals can be heard on the track “Lullaby”. Mother will be released 19th January on Bella Union.